In April 1972, Richard Nixon, then president of the United States, gave the green light to an operation that deployed more than 10 thousand marine mines on the coast of North Vietnam to cut off the naval supply routes to the region. On August 4, dozens of these mines exploded for no apparent reason. These submarine explosives had been designed to be detonated in response to magnetic, acoustic and pressure signals from passing ships. However, some kind of mysterious force acted that August 4. It happened when the crew of a US Task Force 77 plane flying near a minefield in the waters of Hon La observed 20 to 25 explosions for about 30 seconds. Then they also witnessed 25 to 30 additional mud points in nearby waters. The extreme weather events of early August 1972 had a significant impact on the US Navy. UU., Which has not been widely reported. 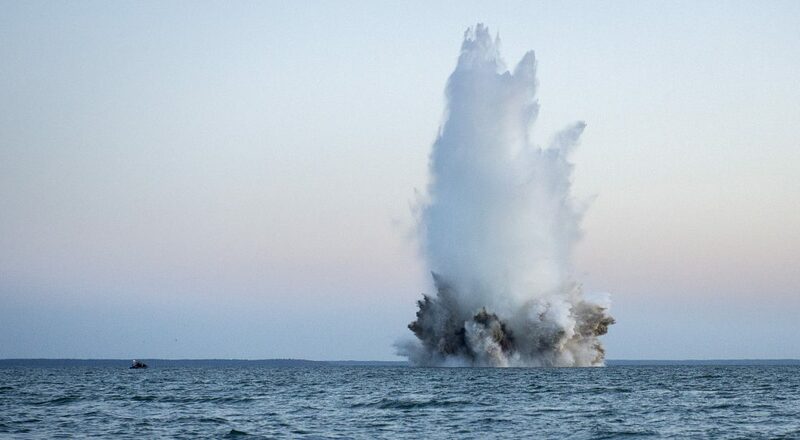 These effects, buried for a long time in the archives of the Vietnam War, add credibility to the severity of the storm: an almost instantaneous and involuntary detonation of dozens of marine mines south of Hai Phong, North Vietnam, on August 4. from 1972. As we said, the study is based on reports from officers who supervised Nixon’s operation, some of which are preserved in Navy documents that were declassified in the 1970s. These include eyewitness accounts of the explosions of US aircraft crews off the coast of Hon La, along with estimates that thousands of marine mines were potentially detonated by the explosion of solar activity in early August. Apparently, the storm began after the Sun ejected solar flares and coronal mass ejections that sent bursts of radiation, plasma and charged particles to the entire solar system. An event that NASA knew very well, as it happened between the Apollo 16 and 17 missions, and underlined the threat of space weather for space missions. The explosions from the mines would show that solar activity can also influence machinery and electronics on Earth. The researchers detail the unusual scientific readings, power outages and auroral activity observed because of the storm. With all the data in context, they came to the conclusion that the 1972 event could have been in the same league as the famous Carrington Event, the largest registered geomagnetic storm in 1859. ” In our opinion, this storm deserves a scientific review as a great challenge for the space weather community, as it provides terrestrial observations of the space age of what was likely to be a storm of the Carrington class“.